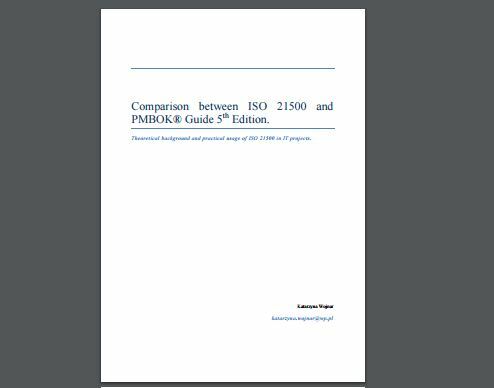 Comparison between ISO 21500 and PMBOK® Guide 5th Edition. changing environment. In the management, the trends of process management as well as project management became very important and the idea of dealing with processes and projects went into the highest level of Management. • One-fifth of the world‘s GDP, or more than $12 trillion, will be spent on projects each year in the decade 2010-2021. • In the coming years many skilled project management practitioners will be leaving the workforce due to retirement — a trend which will have a major strategic impact for over 60% of the organizations worldwide.